Is your Acer Ferrari laptop experiencing hardware problems? Do you need assistance to fix your notebook problems such as laptop will not boot up, laptop overheating, motherboard faulty or blue screen of death (BSOD) errors? Then get expert and reliable Acer Ferrari laptop repair services from Creative IT – a highly reputable laptop repair and upgrade centre in Central London. We can offer you cost effective solutions for any hardware, operating system, software or networking problem that your Acer Ferrari notebook may encounter. At Creative IT, we provide outstanding Acer Ferrari laptop repair, replacement and upgrade services for Ferrari 1000, Ferrari 1100, Ferrari 1200, Ferrari 3000, Ferrari 3200, Ferrari 3400, Ferrari 4000 and Ferrari 5000 notebook models. Our knowledgeable laptop technicians are experienced in component level motherboard repair and carry out prompt service to both residential and business clients. 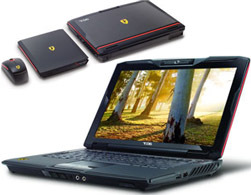 We offer nationwide mail-in Acer Ferrari laptop repair services. We can also arrange for a secure pick-up and delivery service if required. We will pick-up your laptop, carry out the necessary repair work at our Central London repair facility and then deliver it back to you at the earliest possible. Creative IT also offers 90 days, back to base warranty on most hardware repair services performed and for new parts supplied and fitted. Please contact Creative IT Acer laptop repair centre at 020 7237 6805 or e-mail us at info@creativeit.tv for more information on our same day London Acer Ferrari laptop repair, upgrade and replacement services in the UK.